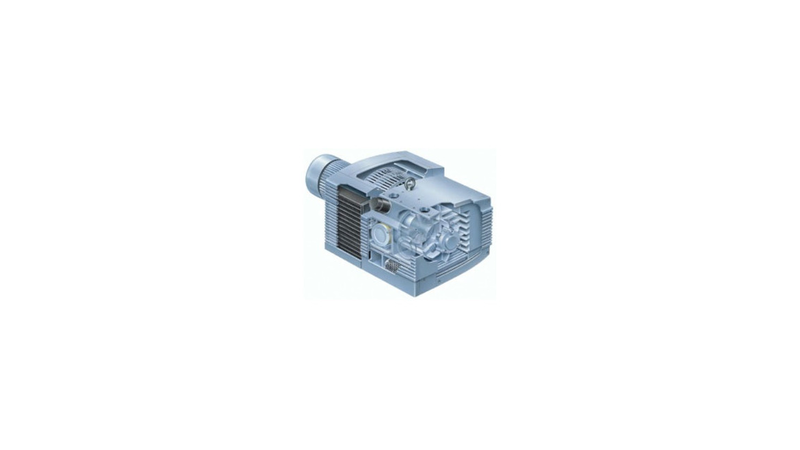 The vacuum pump configuration with a single shaft and direct drive results in a sturdy and durable unit with low maintenance and running costs. A non-return valve and efficient oil separation are integrated into each vacuum pump. A float valve reliably regulates the return oil intake, even in high pressure ranges. A gas ballast valve (as standard from U 5.70 and with increased volumetric flow as an option) prevents the condensation of steam as far as possible. The gas ballast lets a measured amount of fresh air enter the compression chamber. By mixing saturated intake air with unsaturated fresh air, condensing is kept to a minimum. In addition, the protective cover supplied as standard minimises noise emissions. An optional water cooling system allows the pump to be operated in higher ambient temperatures or with higher intake temperatures; the service life of the lubricant is also significantly increased. A wide range of accessories complements the pump, making it ideal for various tasks.